The King’s Witch by Tracy Borman on Shiny New Books Today! 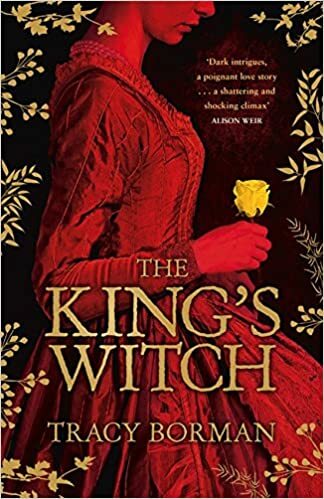 Today over on Shiny New Books, my review of Tracy Borman’s debut novel – the excellent “The King’s Witch”. This is so good, written with the eye for detail that you would expect from the author of “The Private Lives of the Tudors”. Why not have a look at https://shinynewbooks.co.uk/the-kings-witch-by-tracy-borman/ This is truly a super book! Leave a comment The King’s Witch by Tracy Borman on Shiny New Books Today! One of my favourite types of novels when I was (much) younger was historical novels. Jean Plaidy and the crew were the best, not noted for their precise accuracy on facts but enjoyable atmospheric reads. I used to particularly like the dynasties which went through lots of generations; indeed it was the Norman series that got me through A level history. At least I was able to sort out the early Williams and Henrys. I have commented on other historical novels in this blog. I was a bit disappointed in Phillippa Gregory’s The White Queen, but have hopes of The Red Queen which is coming to the top of my reading pile. I really enjoyed The Captive Queen by Alison Weir and have written about it on this blog. My latest find is more along the lines of Plaidy than Weir, in that it is a really good read but perhaps a little more imaginative with the facts. In my campaign to report on easily available books I found this new paperback, The Queen’s Governess by Karen Harper. It is not great literature, but an interesting version of the life of a real person which goes some way to explaining what happened at various stages of the lives of famous Tudors and those around them. The Queen’s Governess is Kat Ashley, faithful carer of Elizabeth I. She is depicted in this novel as a spy for Cromwell, known and trusted by Anne Boleyn and totally dedicated to the interests of the young Elizabeth, even when arrested in the Thomas Seymour scandal and later during the reign of Mary. These facts are reasonably well known, at least to anyone who has frittered away many hours on Tudor novels. This book’s great interest is in the why of her life, her need to get away from humble roots, her infatuations and the great love of her life. This is not a long novel, and is surprisingly easy to read. There are no wordy historical digressions, no complicated family set ups or vast events, just understandable love, loyalty and human interest. There are some details in the Author’s notes which give more suggestions for reading related books. This is not a great book of academic weight, but an enjoyable, atmospheric life story. It is a relatively quick read, which keeps moving. I have not tracked down other books by this American author as yet, but would be interested to do so. A book that Husband bought me in the National Portrait Gallery where we particularly liked the Tudor section ( I think he admired the portrait of Anne Boleyn) has just coincidentally come to the top of the pile. Elizabeth’s Woman by Tracy Borman is a factual book about the women of Elizabeth’s Court.